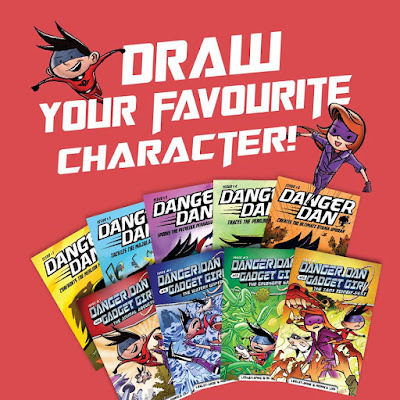 Danger Dan & Gadget Girl: Win a Danger Dan book! Calling out to all Danger Dan and Gadget Girl fans! 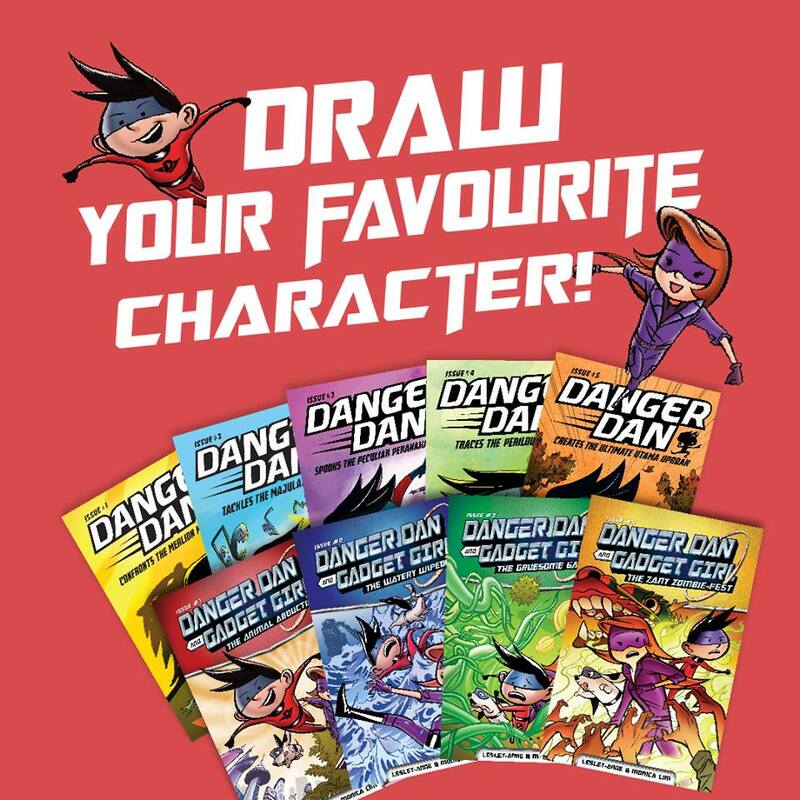 We want to know who your favourite character from the series is through your own hand-drawn version of him/her/it. The best 3 entries will win any book of choice from the series! Your favourite character can be from any book from the 2 series. It need not be a main character; if your favourite character happens to be a snail that appears in one of the books, so be it! b) why this character is your favourite. Psst! : Colouring your character will definitely increase your chances of winning! 2. Sign off with your Name and Age. 4. Tag “Epigram Books” and “Danger Dan” in your post. You can post your pictures anytime from now till the deadline.